What Will the Bar/Bat Mitzvah Cost? 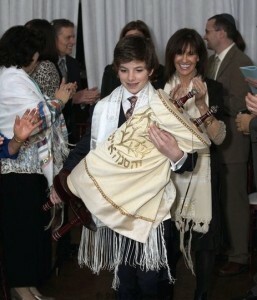 Your B’nai Mitzvah is a once in a lifetime event. Some people keep things simple and costs minimal. Others go all out! As you are making your plans, think about four sets of costs. 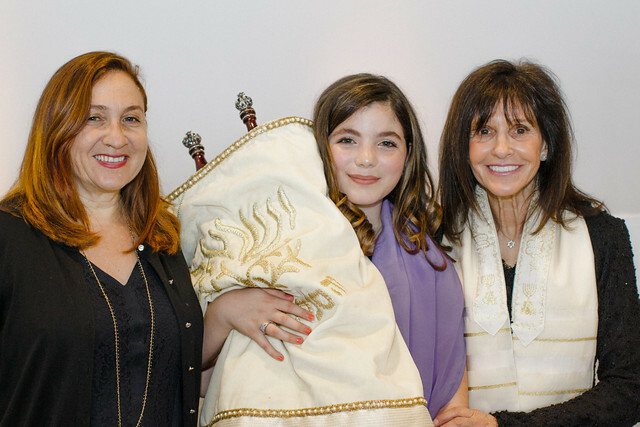 Rabbi’s Fee, which includes a year of class Torah study, semi-private and private preparation for the Bar/Bat Mitzvah and the ceremony itself, is $2,600. B’nai Horin’s Facility & Coordination Fee is $800. This covers the cost of the Riddick Center rent, video equipment, supplies and our administrative costs. B’nai Horin’s Torah Maintenance Fee is $100. Each of our students studies with one of our two Torah’s every week. (One is a Holocaust Torah and the other is over 100 years old) Our Torahs get a little worn and tired from this intense use, but we do regular repairs to them. This fee helps cover those costs. B’nai Horin’s Scholarship Fund is $100. Not every family who wants to participate with us can afford the fees. So we ask everyone to contribute to the Scholarship Fund so that we can include those who otherwise could not participate. We start family Tzedakah training upon enrollment! B’nai Horin’s Security Fund is $250. This provides us with security at our Sunday class. Each child is individually tutored in Hebrew. Our tutors fees range from $70 – $95 per session. The number depends on your child’s prior knowledge of Hebrew and prayers, most kids meet with the tutor once a week for 3 to 9 months. We encourage membership in B’nai Horin. Cost of membership is $180 for individuals and $360 for families. We urge you to attend High Holy Day Services with your child(ren). See the High Holy Days tabs for pricing, dates and information. Deposit of $500 payable at registration. You can create your own payment method. Regardless of how you pay, you must be paid in full 30 days prior to the Bar/Bat Mitzvah. Other payment plans can be arranged by special request. Please make checks for the fees above payable to B’nai Horin. We also accept payment with AMERICAN EXPRESS, VISA and MASTERCARD. We give a $100 discount for those who pay via check before 10.31.16. At the Orientation Meeting in September we will ask you to make a payment plan agreeement.